Spousal maintenance – or alimony as it is commonly called – is financial support that one spouse provides to the other spouse in divorce. 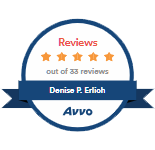 At Erlich Law Office, LLC, our DuPage County divorce attorney is dedicated to guiding clients through all aspects of the divorce, including spousal maintenance, child support, and child custody (responsibility). 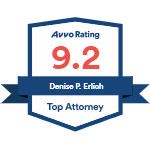 If you are in need of divorce legal advice or representation, contact Erlich Law Office at (630) 538-5331 to schedule a free consultation with DuPage County divorce attorney Denise Erlich. Any other factor that the court considers just and equitable. Spousal support is often misunderstood by many people seeking a divorce or dissolution of marriage. Accordingly, it is important to consult with a divorce lawyer who can provide you with comprehensive divorce legal advice and who will advocate on your behalf for a fair and equitable settlement agreement. DuPage County divorce attorney Denise Erlich provides comprehensive legal advice on all aspects of divorce, from child custody (parental responsibility) and visitation (parenting time) to spousal support and property division. 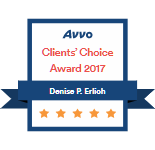 She takes a long-term, practical view when assessing various legal options in order to come up with creative solutions to difficult issues. Moreover, she seeks to resolve disputes regarding spousal support and property division as fairly and peacefully as possible through alternative dispute resolution options, including mediation and collaborative law. If a favorable resolution is not possible through alternative dispute resolution, however, she is prepared to aggressively fight for her clients’ rights in a court of law. Because she takes a holistic approach to legal representation, and has first-hand experience with many of the issues her clients are facing, she is able to diffuse tense situations, provide divorce legal advice that is grounded in compassion and reason, and efficiently reach a favorable divorce settlement agreement. If you are facing divorce or dissolution of marriage, contact Erlich Law Office today at (630) 538-5331 to schedule a free consultation with our DuPage spousal support lawyer.